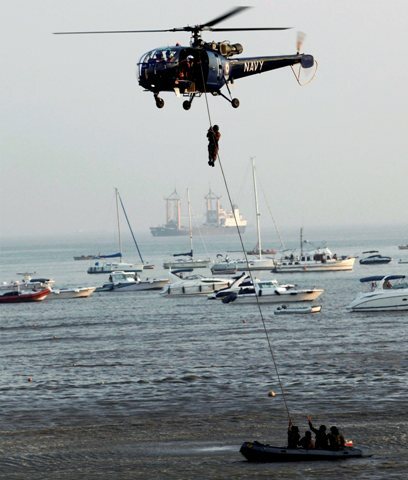 Navy officers rehearse in Mumbai for the Navy Day programme (Dec 3 and 4) near the Taj hotel in Mumbai. 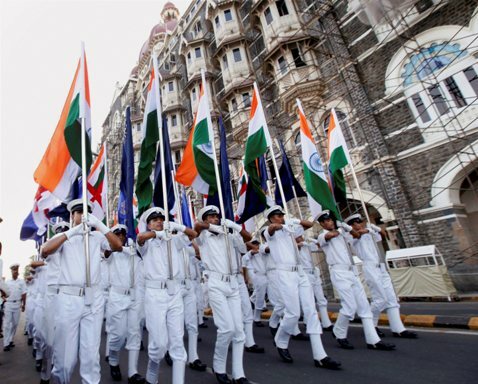 The Indian Navy celebrates Dec. 4 as Navy Day to commemorate the Indian Navy attack on Karachi Harbour during the 1971 India-Pakistan war. 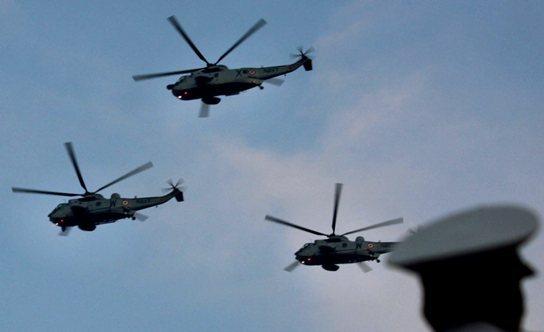 Navy choppers during a performance on the occassion of final day of Navy Day celebrations at Gateway of India in Mumbai. 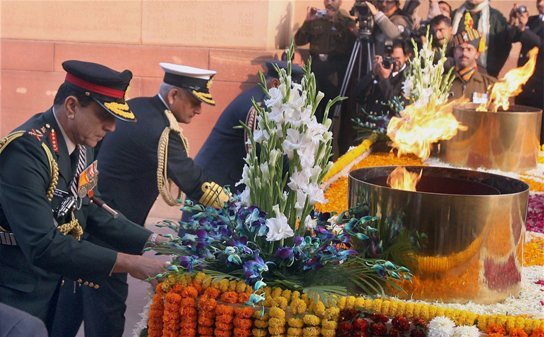 Army Chief General Deepak Kapoor, Navy Chief Admiral Nirmal Verma and Air Chief Marshal P V Naik lay wreaths on Amar Jawan Jyoti on the occasion of Navy Day at India Gate, in New Delhi on 4th December, 2009. 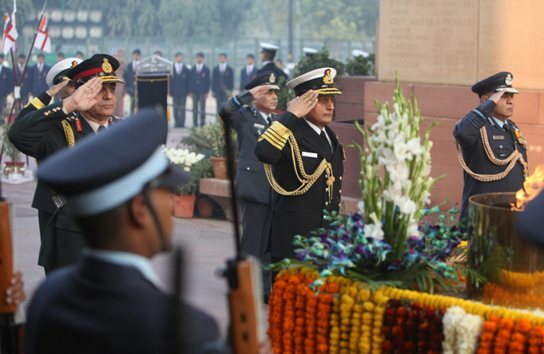 Army Chief General Deepak Kapoor, Navy Chief Admiral Nirmal Verma and Air Chief Marshal P V Naik salute on the occasion of Navy Day in front of Amar Jawan Jyoti at India Gate, in New Delhi. 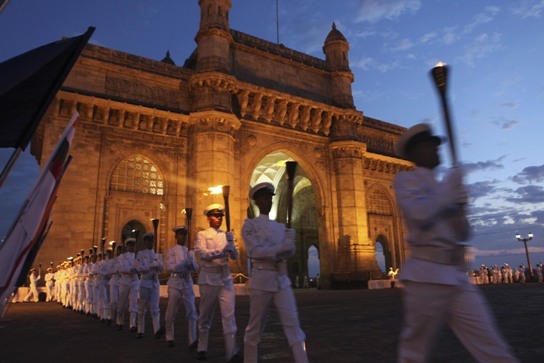 Naval personnel rehearse on the eve of annual Navy Day celebrations at Gateway of India in Mumbai. 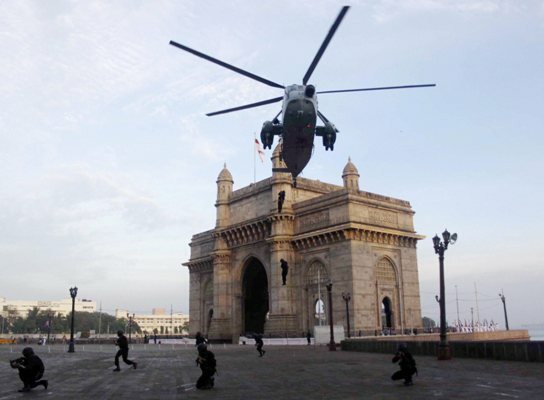 Naval personnel rehearse for the Navy Day programme to be held on December 3 and 4 at the Gateway of India, in Mumbai. 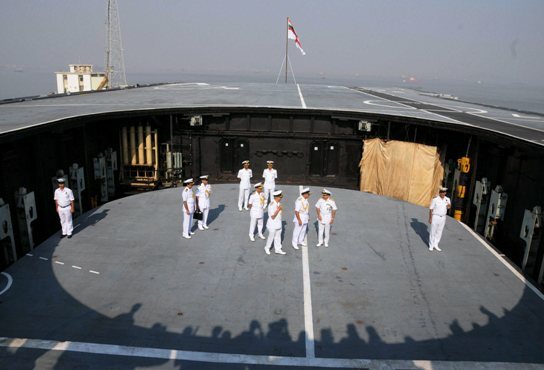 Western Naval Command, Flag officer Commanding-in-chief Sanjeev Bhasin (2nd from R) on board IMS Vikrant during the Navy Week celebrations, in Mumbai. 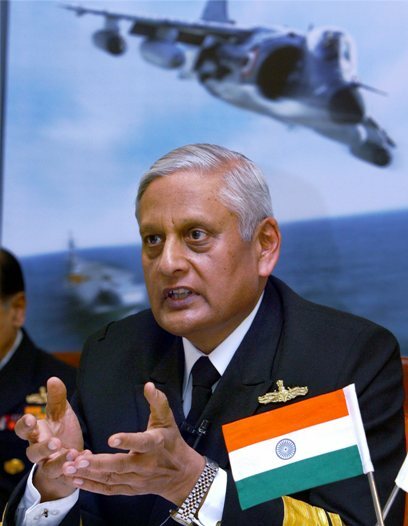 New Navy Chief Admiral Nirmal Verma gestures during a press conference, in New Delhi. 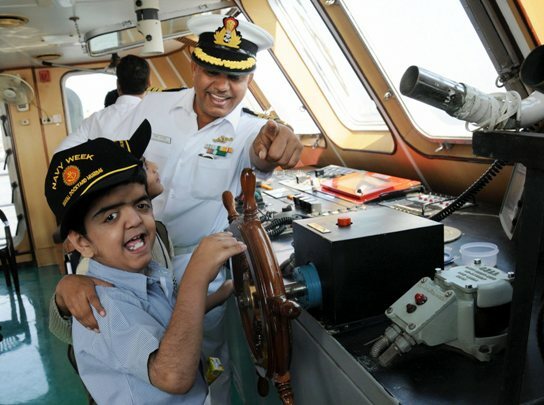 Children enjoy a harbour cruise organised by the Navy as part of the Indian Navy week celebrations at Naval Dockyard, in Mumbai. 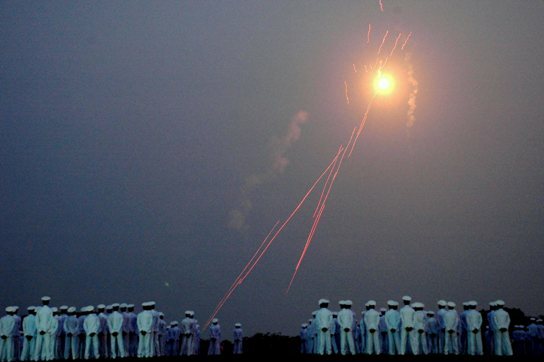 Indian Navy soldiers look on during a fireworks display at INS Chilka, near Bhubaneswar on the occasion of Navy Day. 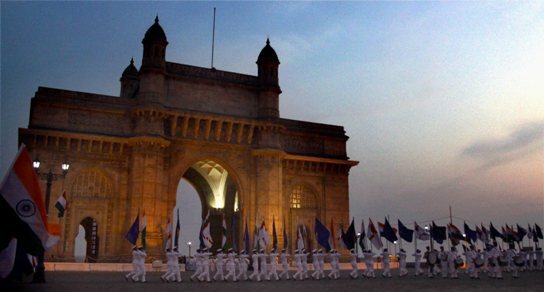 Navy personnel parade on the final day of annual Navy Day celebrations at Gateway of India in Mumbai.